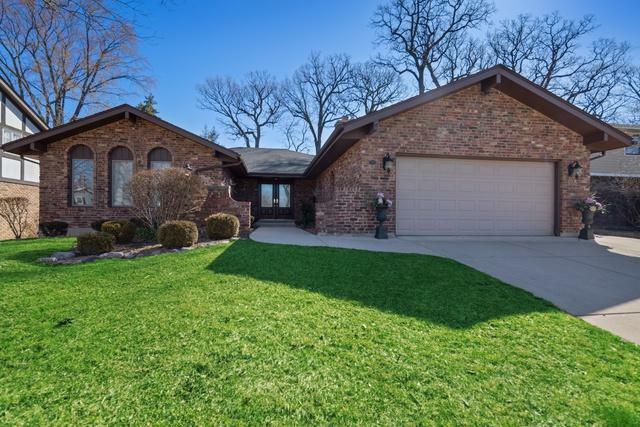 NICELY UPDATED ALL BRICK, FOUR BEDROOM, RANCH, LOCATED IN SOUGHT AFTER, OAK CREEK! IMPRESSIVE, COURT YARD ENTRANCE! 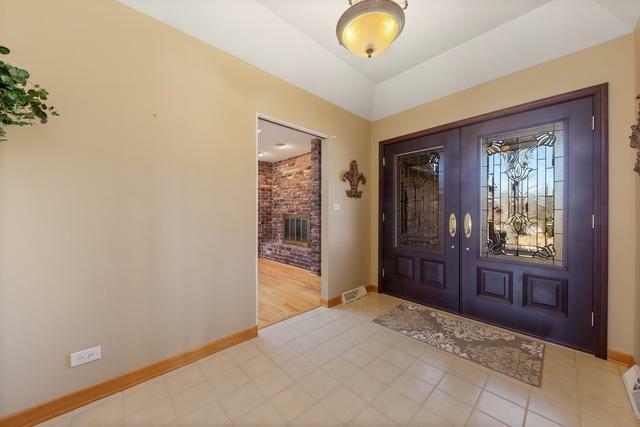 DOUBLE, MAHOGANY, LEADED GLASS, FRONT ENTRY DOORS, OPEN TO A CERAMIC FOYER AND OVERSIZED, LIVING ROOM/ DINING ROOM, COMBINATION. MOVE-IN CONDITION, SHOWING HARDWOOD FLOORS, VAULTED KITCHEN WITH SKYLIGHT, CUSTOM CABINETRY AND GRANITE COUNTER TOPS. COZY, SKY LIT, DEN WITH FIREPLACE AND ACCESS TO FIRST FLOOR POWDER ROOM. FIRST FLOOR LAUNDRY ROOM. BREAKFAST ROOM HAS SLIDING GLASS DOOR TO PRIVATE PATIO AND BEAUTIFULLY LANDSCAPED, TERRACED BACK YARD WITH FENCE. 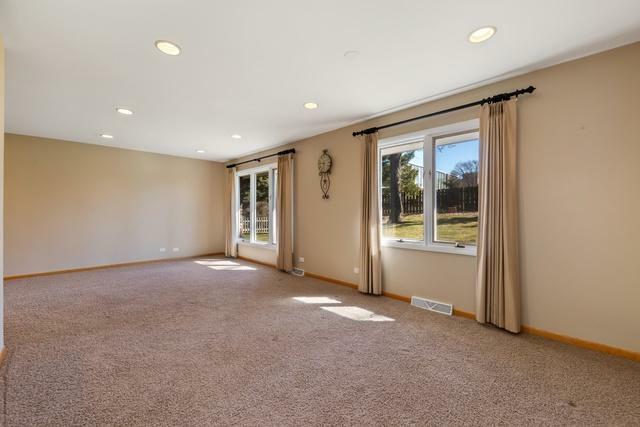 AMAZING, 2000 SQUARE FOOT, FRESHLY PAINTED, UNFINISHED LOWER LEVEL, FEATURING WORKSHOP AND THREE LARGE RECREATION ROOMS. NEWER ROOF AND UPDATED HVAC SYSTEMS. EXTRA WIDE CONCRETE DRIVEWAY. 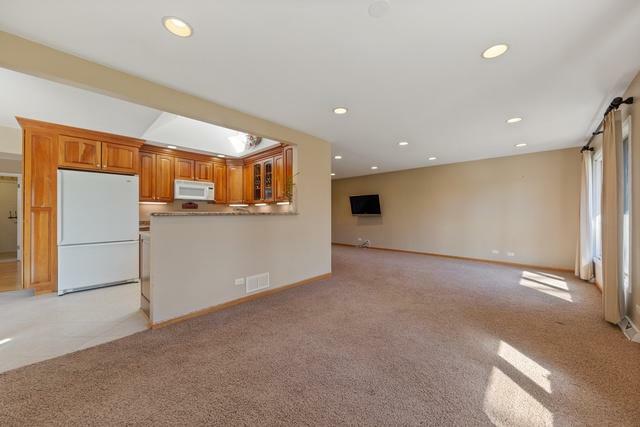 CONVENIENTLY LOCATION NEAR- I88, 355, THE METRA, RESTAURANTS AND GOOD SAMARITAN HOSPITAL.